B P Collins places considerable importance on supporting and strengthening local communities. We also recognise the impact we have on these areas, as well as the responsibility we have to operate in a manner which protects the environment. Our Corporate Social Responsibility programme aims to address the following areas: Charitable giving and fundraising Sponsorship programme Environment and Climate People and Diversity. Buckinghamshire Business First is a business-led, business-focused community for new, established and growing businesses across Buckinghamshire. We provide our members with knowledge, support and opportunities for growth. From our inception in 2011, when 10 local entrepreneurs and business leaders got together to discuss how to encourage business growth in Buckinghamshire, our ‘doing-it-for-ourselves’ mentality has generated a thriving business community of over 11,000 members – and growing. Buckinghamshire New University has a proud 126-year history of transforming the lives of its students through employment-focused and skills-based teaching which enables students from a wide range of backgrounds to achieve their ambitions. We create the conditions for success, and strive to be a catalyst in making a positive impact on the environment, in our communities, and as an anchor institution in our region. Ecobrand - Gold CSR Accredited. For Ecobrand, the overall aim is to achieve a positive impact on society as a whole while maximising the creation of shared value for our business, our employees and our customers. Where possible we make every effort to record and report our CSR successes, this way we can help the various organisations and causes we support benefit from our marketing visibility. Here at Bartercard, being a socially responsible business is central to our core business beliefs. we are committed to CSR in all areas on our business and are continually looking for ways to improve our business functions so that we can have a positive impact on the communities that we work with. Principle Founders Brian Hall and Andrew Federowsky, Wayne Sharpe and first employee Maree St Clair started Bartercard on the Gold Coast, Australia, in 1991. This team shared a vision for Bartercard to become the world’s largest trade exchange and a globally recognised business-to-business brand. As part of our CSR policy, as with all company policy, the business demonstrates good governance & full due diligence in reviewing and updating when appropriate. The business diarises; Director Board Meetings, Staff meetings, Departmental meetings, Sales meetings & Marketing meetings at which point all matters relating to this business are raised, documented, discussed, agreed and put into action on a democratic basis. 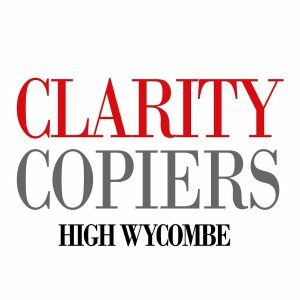 CSR will be continually be reviewed by Clarity Copiers as part of those meetings with a view to introducing more initiatives important to the business in the future. Connect Charity was established as a brand to develop a business that delivers responsible and purpose led professional solutions to charities and small businesses. Originally it started as a part-time venture around other commitments but it soon became clear that working with a number of different organisations which faced similar challenges was both challenging and interesting as well as rewarding and we knew we were making a positive difference. Chandler Garvey recognises that it has a positive role to play in the Buckinghamshire community; being a high profile business that helps shape the business environment through the work it does with investors and developers in the property sector. Chandler Garvey is one of the leading firms of commercial property consultants in the greater Thames Valley region, with a network of 5 offices in Buckinghamshire and Berkshire. As a charity, DEBRA is committed to socially responsible practices in all areas of our work where possible. By acting in a socially responsible way we believe we can improve our business functions as well as motivate staff and have a positive impact in the communities where we operate. We recognise that all areas of CSR are important and have therefore split our policy into several sections to ensure that we do not overlook any key areas. Sound and effective CSR Policies and intertwined into our services/solutions that we promote to our customers in delivering good practice within energy management and sustainability. We act as an independent consultant managing your energy requirements, monitoring your usage and identifying where efficiencies can be made, since Energy Renewals was first established in 2010 it has grown from strength to strength and provides energy services for many companies applying best industry practices and delivering products most suited for the application. Corporate Social Responsibility policy objective: to thrive in a sustainable and responsible way, in our environment, and in harmony with others. We have always believed this: we have always made living things, locally from natural materials, water and the sun. Often, we are the only contact people have with growing. From the beginning, Flowerland or Bourne End Nurseries as it was then known was founded in 1950 by Bryn Evans a young farm manager from Marlow with an entrepreneurial streak. As a means to subsidise the very seasonal business of rearing turkeys for Christmas, Bryn started a market gardening and landscaping business which flourished through the summer months. 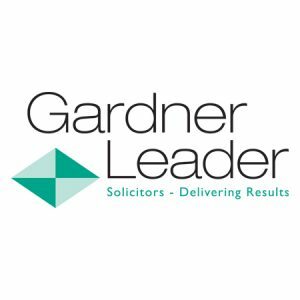 Gardner Leader have been at the heart of Berkshire for nearly 120 years, and are respected and trusted at the centre of our community. We have close links with Swings & Smiles (our current Firm Charity), supporting them through fundraising, staff volunteering, and providing free legal advice. Our staff also engage in a variety of other charitable events. Corporate Social Responsibility (CSR) means managing our business responsibly for long term success. Our success also means that we can fulfil our responsibilities to the community in which we operate. Our CSR Committee meets twice yearly, and consists of staff from across the firm. Lindengate is an award-winning mental health charity that offers specialised gardening activities to help those with mental health needs in their continuing recovery. Our services, known as Social and Therapeutic Horticulture (STH), are recognised to be beneficial for a wide range of mental health needs including anxiety, depression, loneliness as well as for people with autism, dementia and head injury. Lindengate was established in 2013 and occupied the five-acre site near Wendover, Buckinghamshire in June 2014, opening to service users (whom we refer to as Gardeners) in November 2014. Good CSR has been at the cornerstone of our business since it was established in 1995. We aimed to build a business that was built on integrity and ethics and wherever possible to follow business practices that supported these principles. Although policies and practices have evolved over the years, we remain true to our goals and have our business mantra printed onto our walls as a permanent reminder: be creative, be honest, be bold, be happy, be MAXX. Corporate Social Responsibility is important to Seymour Taylor as we see it as a way that we can positively contribute to our society. There are many different strands to CSR and we recognise that each of the different areas are important. At Seymour Taylor we offer you the services of a large corporate accountancy firm, with the personal touch normally associated with a smaller accountancy practice. As one of the longest established firms of Accountants in High Wycombe and the Thames Valley, we offer a wealth of expertise. Our highly experienced team of accountants, tax and business advisers can assist you with all your accountancy needs. Established 25 years ago we are passionate about transforming how people perform at work. How? By creating powerful learning programmes using live theatre based training, we engage personnel and transform how they perform at work by creating positive, inclusive workplaces. Our corporate social responsible can be demonstrated across four main pillars. As a care company, Q1Care Ltd is committed to Social Responsibility practices in all areas of the business where possible. The company is making an enormous effort to strengthen existing policies, create new policies and support the general attitude toward social responsibility already seen within the company; from the Managing Director down to the care staff. We aim to be honest and transparent in all meaningful interactions to make a positive impact on clients, their loved ones, staff and the wider community.